Someone dropped off a stack of coupons in our workplace mailroom, so for the last 4 days I have been looking at the coupons and contemplating what I really need - because when you combine the Outlet Mall prices with coupons, we're talking about some really good ways to save (again, as long as you are buying something that you really need). I went this afternoon and purchased a pair of jeans - I currently only have two wearable pairs, so they definitely are on the "need to purchase" list. I would have bought two pairs, but they only had one in my size (well, one in the style that I actually liked). Lucky you! To find your size, and with such a deal!! We have an outlet mall in our town, but it is small, and getting smaller with closures. Ah, I love a good deal! I love it! So funny, I will spend tons of money on camera and computer stuff, but I search for sales on clothes. My poor DH just rolls his eyes. You have a wonderful collection of 'ways to save' shots - love your compositions. And, yea, LOVE shopping discount - rarely shop straight retail. I so wish I had outlets around!! That is one great sale! Great way to save. I get all my jeans at the thrift store for $2-3 a pair. And they are old navy, gap and big brands and barely worn. TFS! Oh I DO love a good trip to the outlets. Ours are about 2 hours away, and I only get there once or twice a year, but its always worth it. What a great deal! 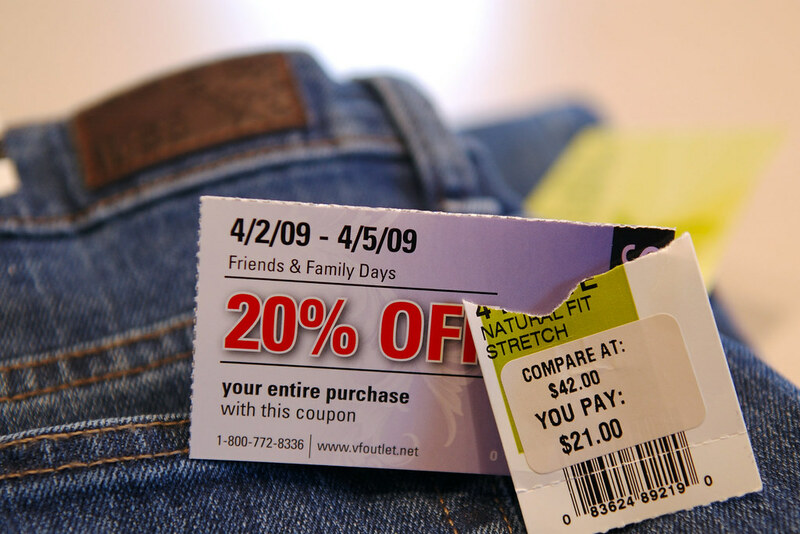 I had no idea that outlet malls actually take coupons! I love shopping in the US - where else can you buy such great stuff so cheap? Well you can in China but you have to haggle and work so much harder for it. 113/365 - More eggs! And Some Herbs. 106/365, POTD - Action shots? 12 on April 12 - Easter Sunday!